Chennai, Feb 12 (IANS) Tamil Nadu Chief Minister K. Palaniswami on Tuesday said the Rs 2,000 assistance to 60 lakh below the poverty line (BPL) families was not announced with an eye on the Lok Sabha elections. 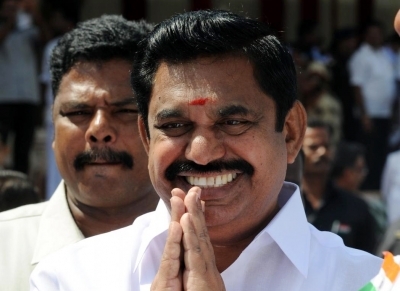 On Monday, Palaniswami made the announcement to provide financial assistance to the BPL families in the state affected by the cyclone Gaja, drought and failure of rains. Speaking in the Assembly, Palaniswami said many districts are suffering from drought and agricultural workers are not getting sufficient wages. People affected by the cyclone Gaja in several districts of the state don't have jobs. Taking these factors into account, the government announced Rs 2,000 financial grant to the BPL families, he said. "The aid will be given to all the BPL families regardless of their political affiliation."